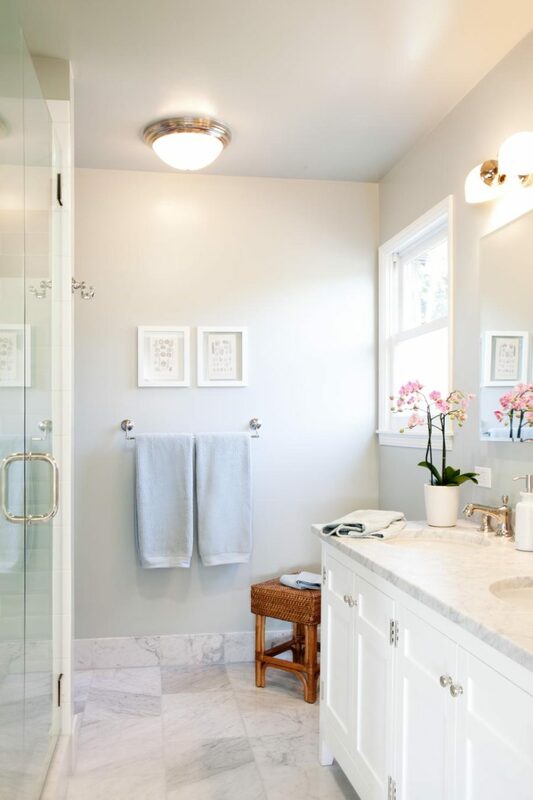 Remodeling a small bathroom may not be a small fit, but it doesn’t have to be expensive and dull. 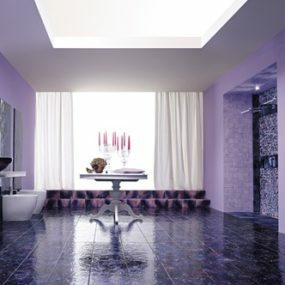 A room of any type or size can be designed to not only suit one’s needs but also look beautiful and stylish. 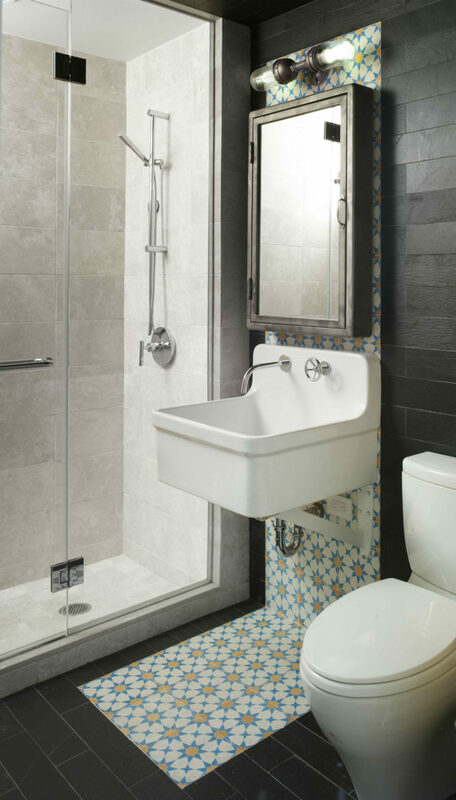 Look at these small bathrooms, and take note of the design solutions that would look great in your small bath. 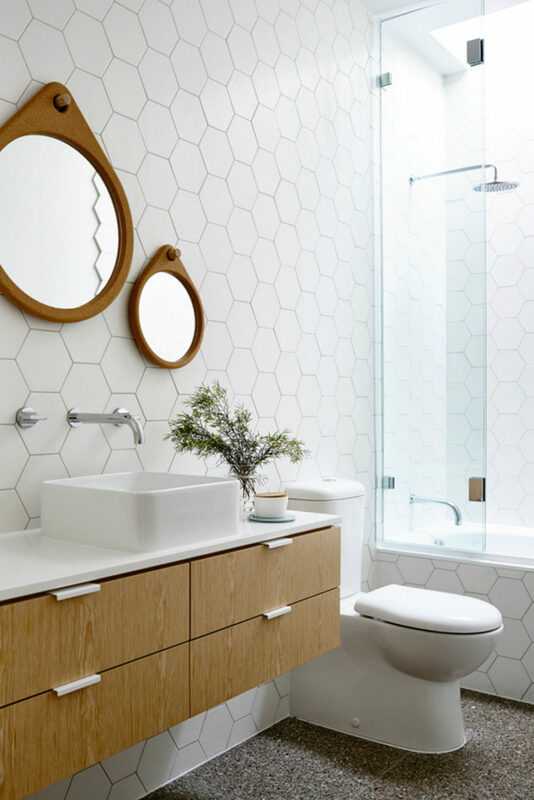 Before diving deep into the idea pool, though, set your priorities to help you size up the budget for renovation. 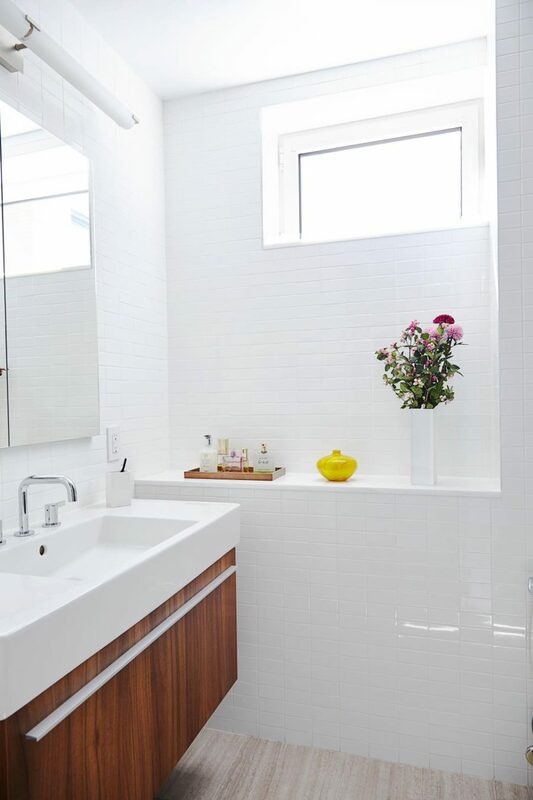 Do you need a new sink? Will you change tiles or just update the existing ones? What about the floors? All these and other questions must be answered before setting your foot into a design store. 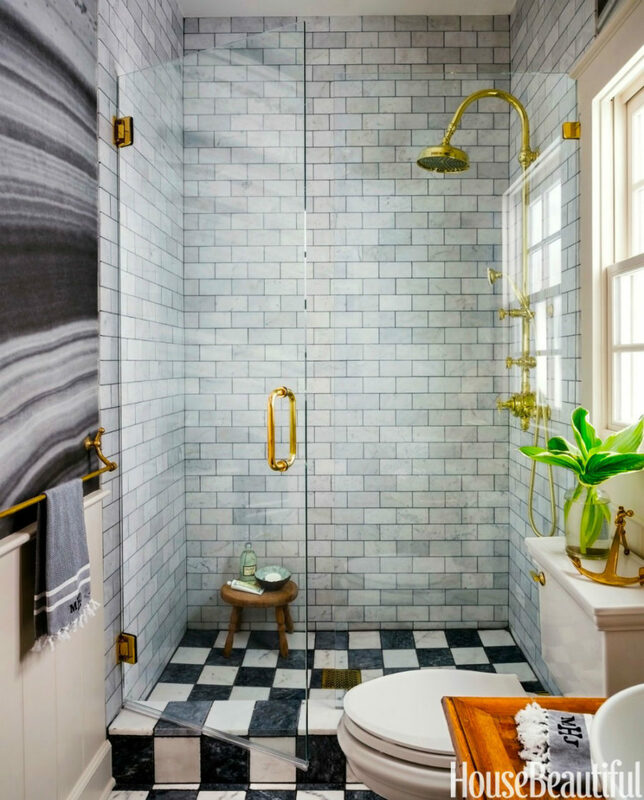 Once you’ve decided on the changes and the budget, it’s time to think up what you want your bathroom to look like. Color is the easiest hill to climb, so start with choosing the scheme. 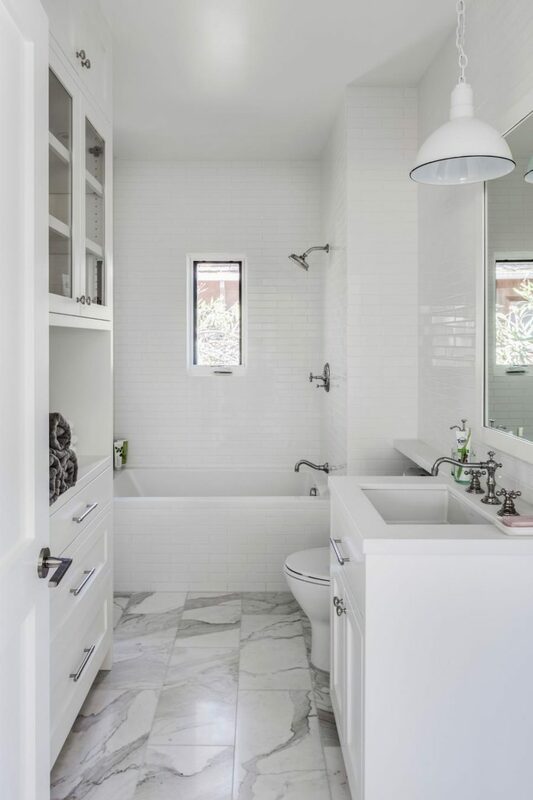 White bathrooms tend to have a light airy look no matter how small they are. But there is an issue with cleaning and staining. 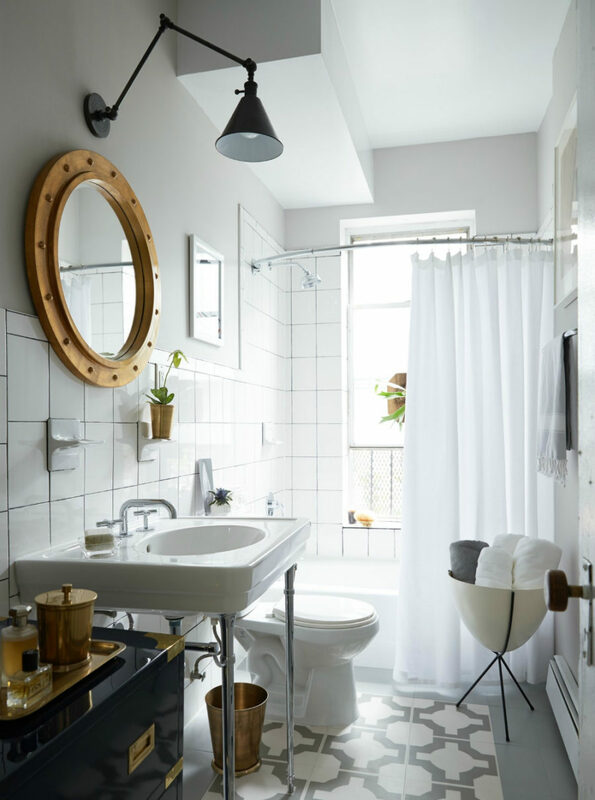 If you don’t mind keeping up the pristine appearance, though, it’s best to go with white or at least off-white to give your small bathroom a bit of room even if illusory. You don’t have to commit only to white, however. It goes well with a myriad of other colors, and you can use brights to make your decor accents pop. 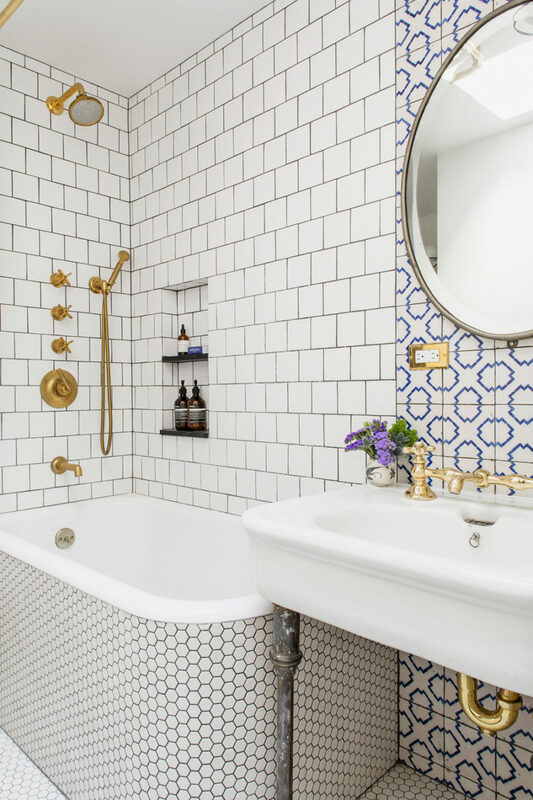 Bright floor tiles or a patterned backsplash can, too, make a fine design element in a small white bath. 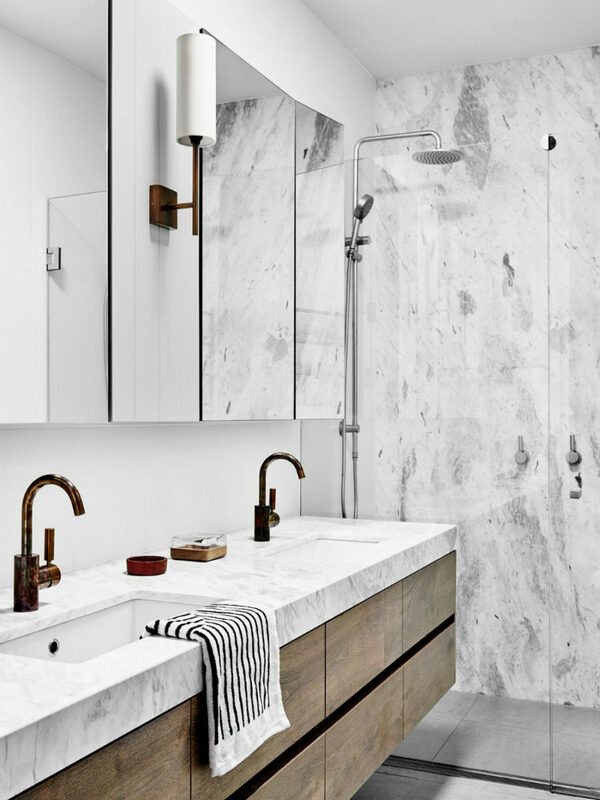 And if you want a more natural vibe, a wood vanity is a perfect way to go about it. 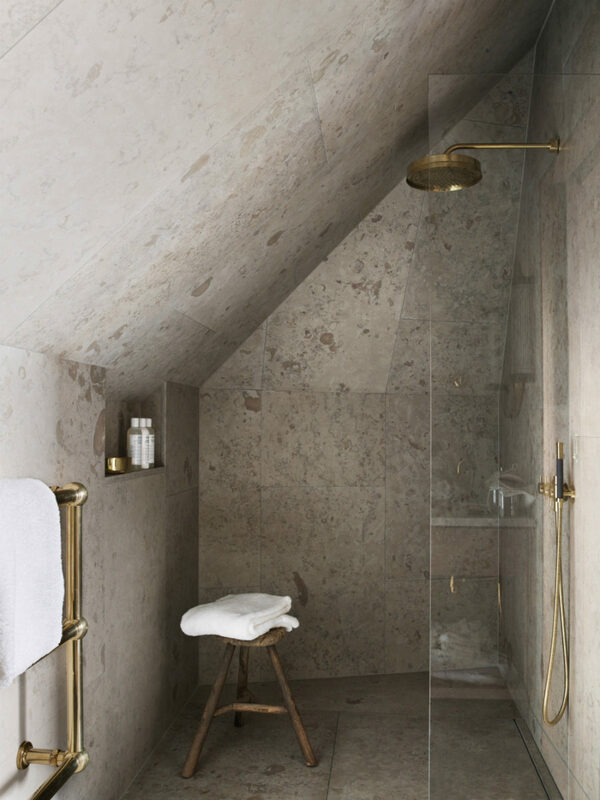 Neutral tones are the next best thing when designing small bathrooms. They may not reflect as much light as pure white color, but they are easier to clean and maintain. Neutrals also pair very well, so you don’t have to stick to just one color or tone. 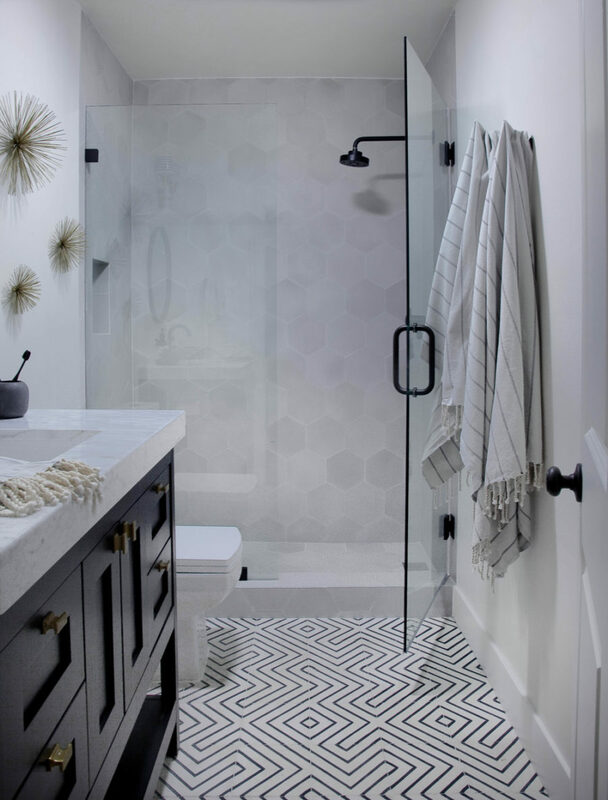 Monochromatic neutral designs can also look very stylish. 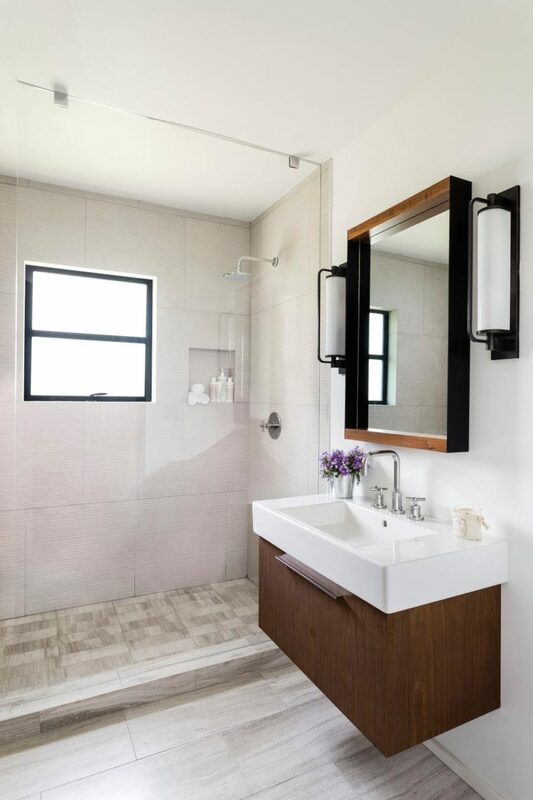 A neutral color scheme is a great choice for spa-like rooms, as its creates a calming atmosphere for an evening relaxation. 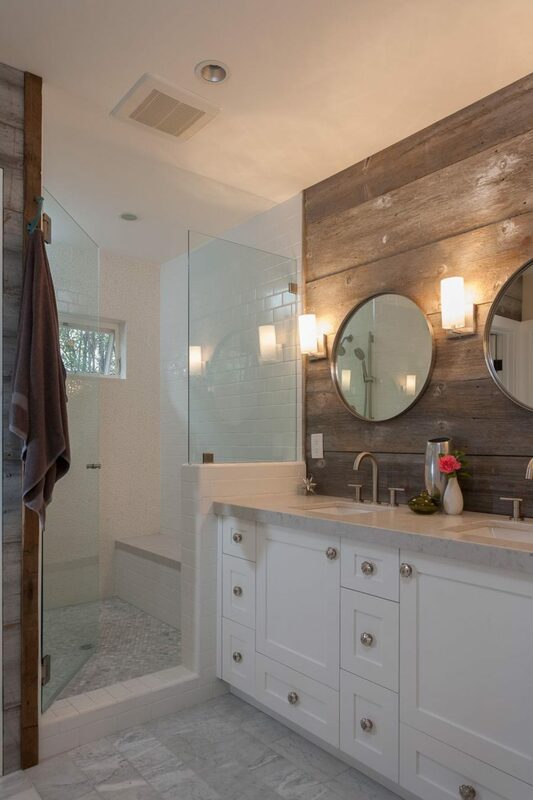 You can also throw brights and dark tones in the mix to punctuate the design, but natural materials will give your bathroom a more rustic vibe. 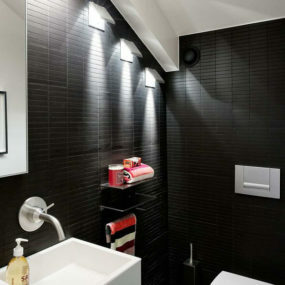 Speaking of dark tones, they can be used quite extensively in small bathrooms. When balanced out, even the pitch black can look stylish rather than depressing. Although it’d be better still, if you used dark muted greys instead. These shades tend to not only look more expensive, but go well with all the other colors as well. 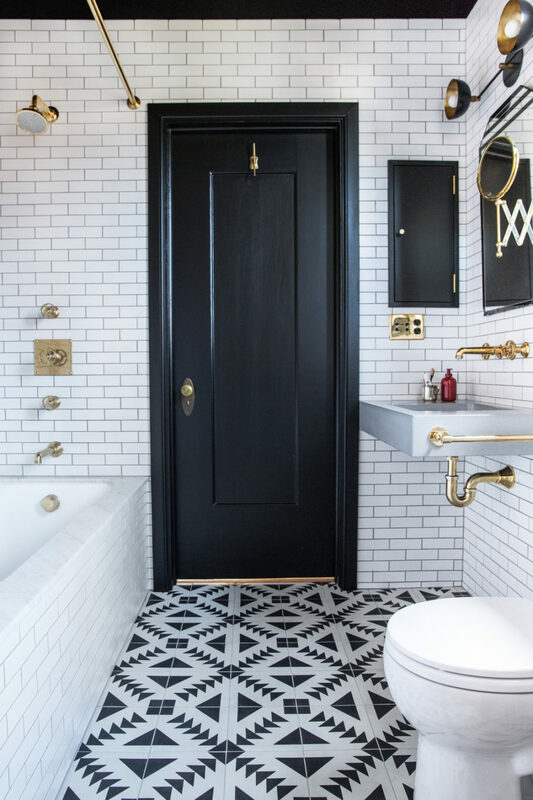 And you can use real black accents sparingly to only punctuate the design. 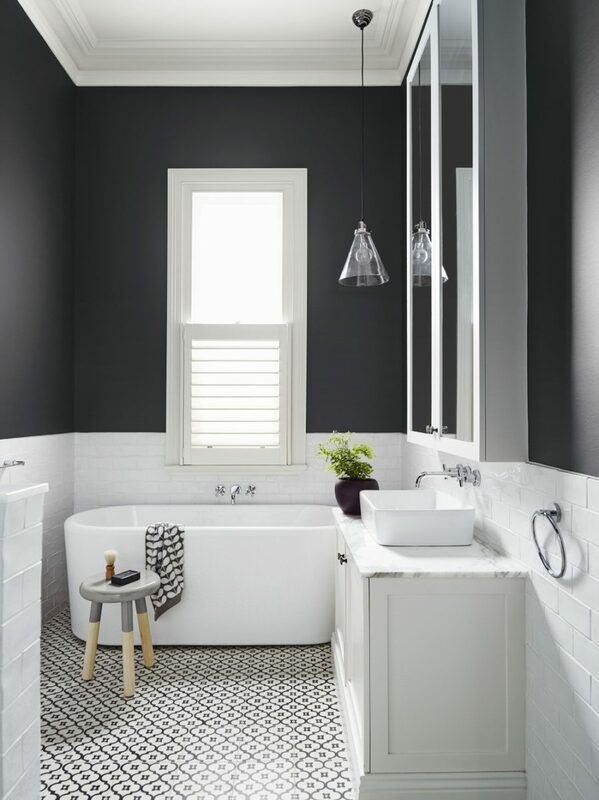 The stark contrast between dark and white tones can look great even in small spaces, so take advantage of this color scheme to create a stylish contemporary design. 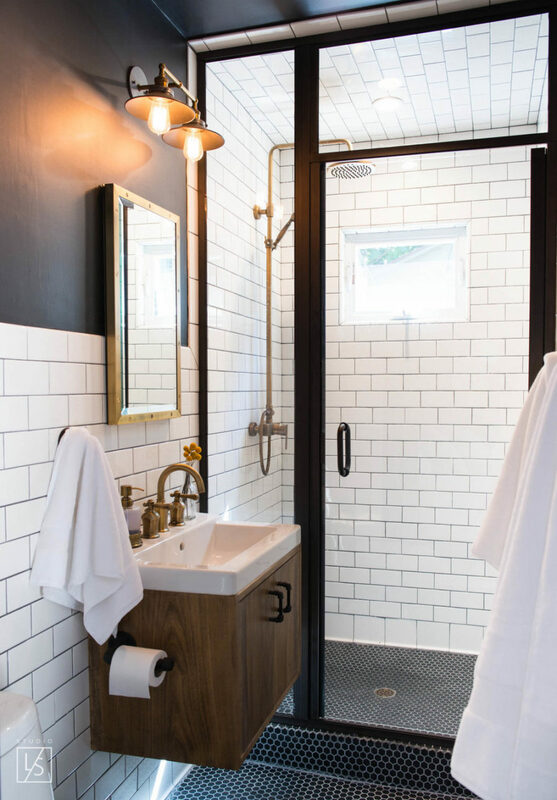 Subway tiles work well with both dark and white tones. 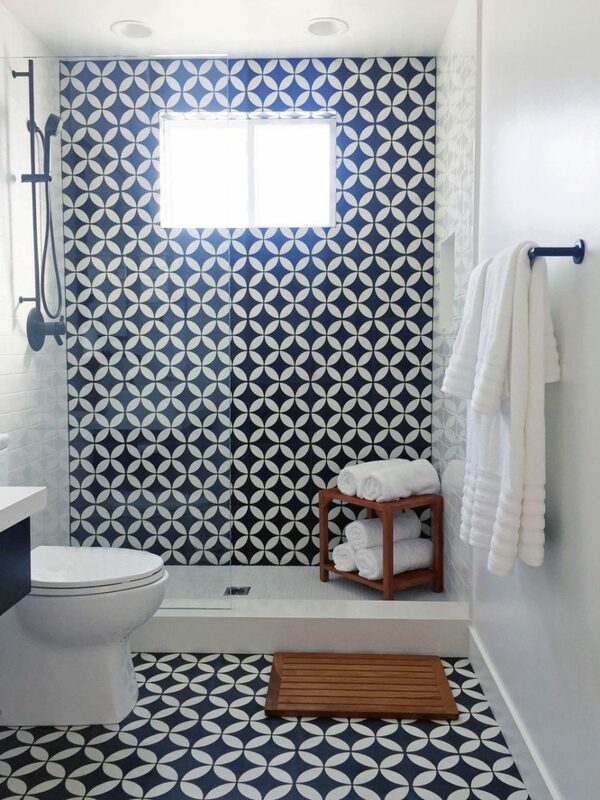 Patterned tiles look especially good on floors, but you can also opt for slate stone if you seek a clean smart look. 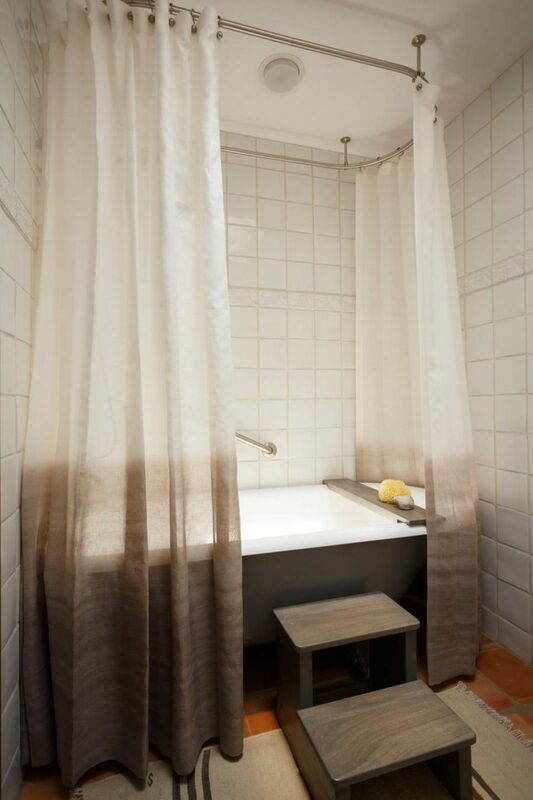 Brights can, too, work in small bathrooms, if you use them sparingly. 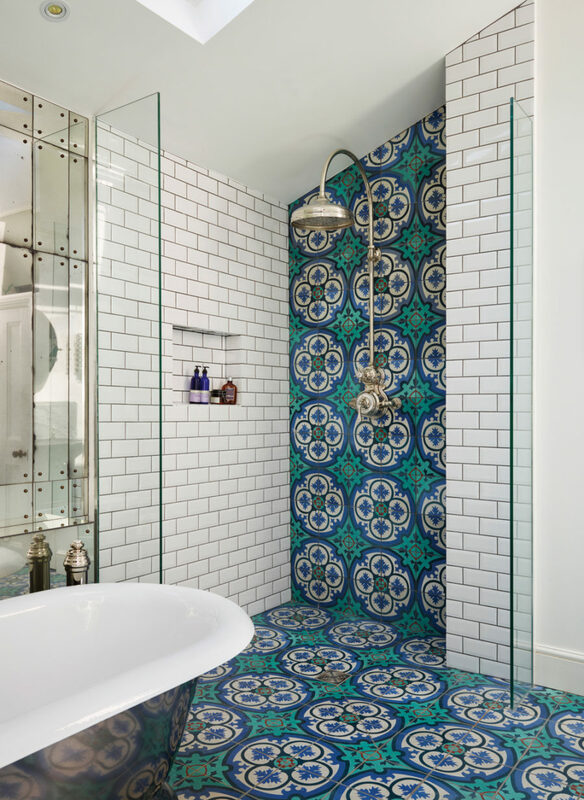 A shower wall or floors are the great areas to try bright patterned tiles. 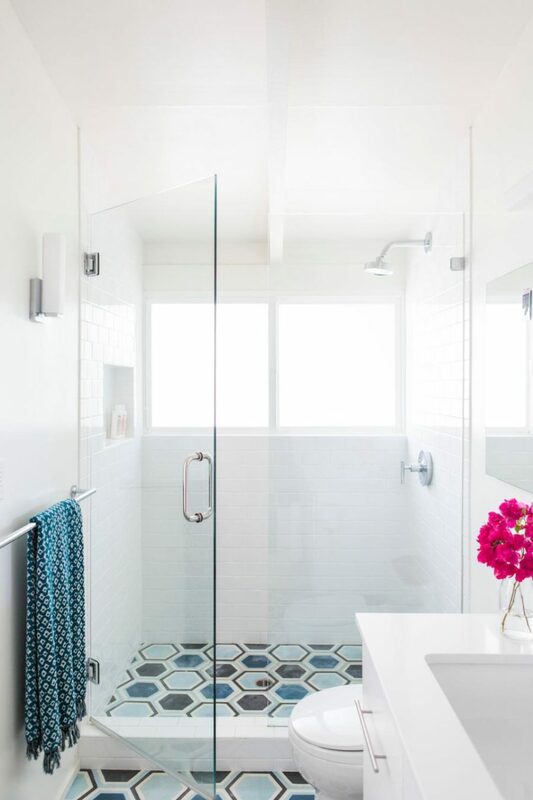 You can also add a pop of color with a bright backsplash. A washed out bright feature wall will give you the desire effect without making the small room look garish. The color may not only come from paint or tiles. You can use stones like onyx to create a bright feature wall in any color from bright yellow to fiery red. 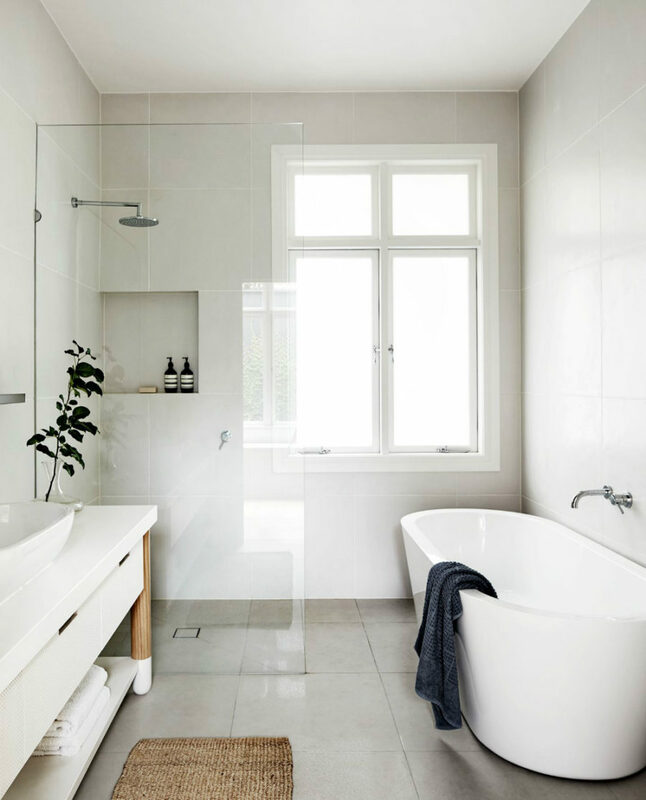 A bathtub is one of the most space-occupying objects in the bathroom. 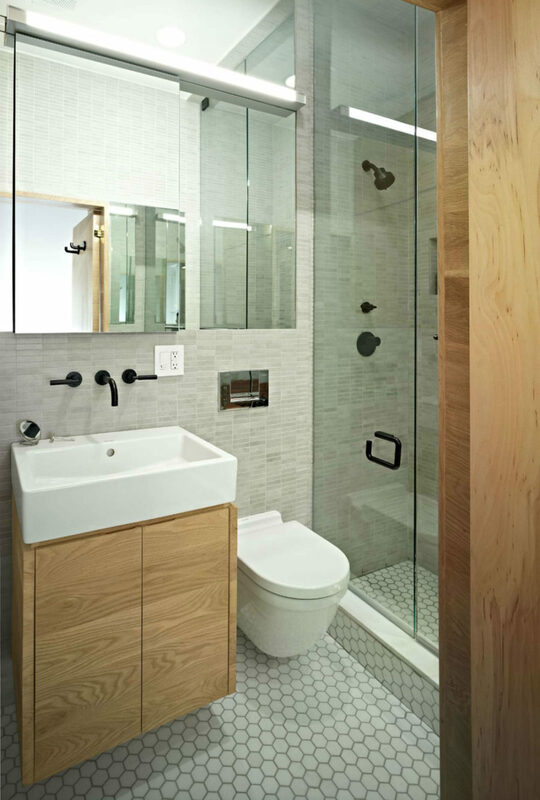 That’s why many opt for shower stalls for their small bathrooms. 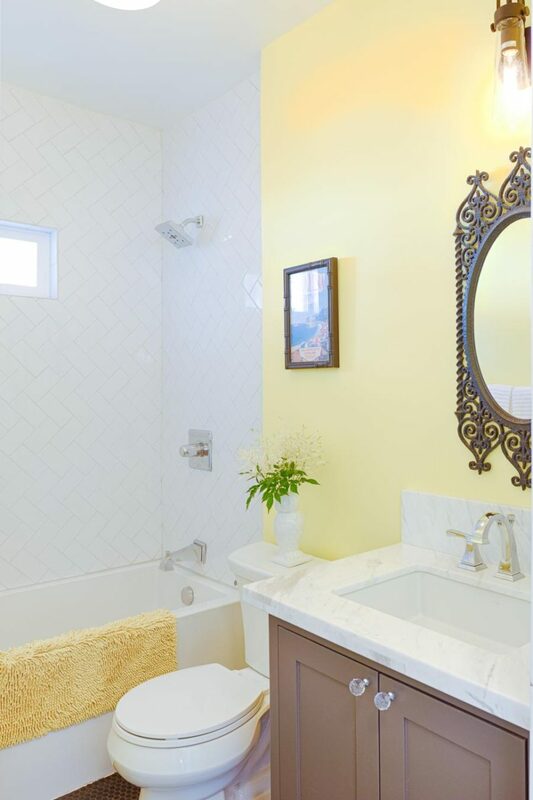 But small bathtubs make it possible for homeowners to both take quick showers and soak to ultimate relaxation. Some also choose combined options that include both, but these tend to have a certain look that isn’t always flattering. 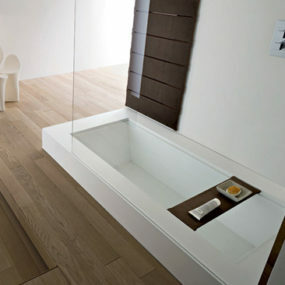 Anyway, regardless of the room’s size, now you can choose to outfit your bath for the thing that you prefer the most. 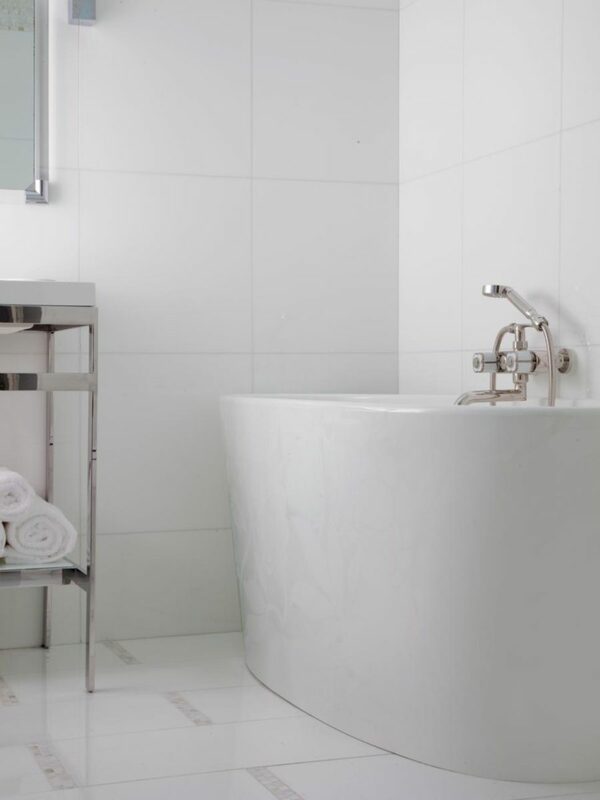 A small compact bathtub is often deeper than the regular thing, so you can really relax and soak well. They also come in different shapes to fit even the most awkwardly planned rooms. 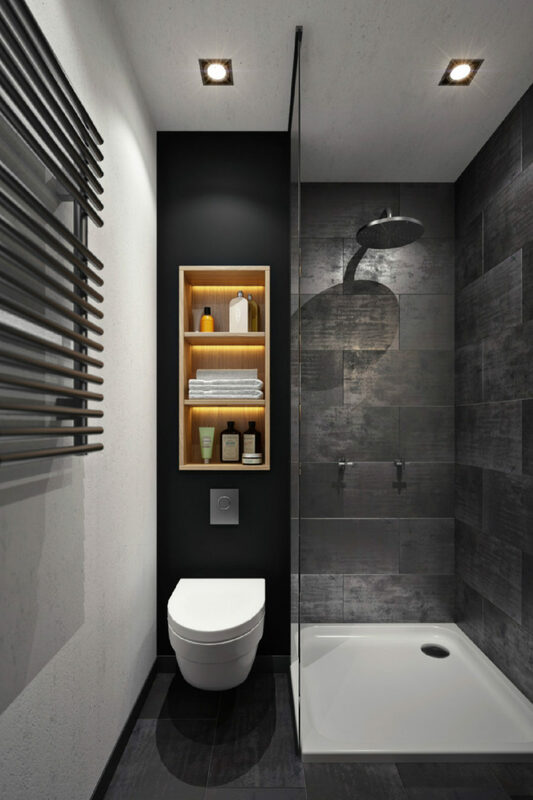 Storage is one of the most important elements of bathroom design. And small bathrooms don’t make it easy. But there are ways to plan your layout to suit your storage needs. For instance, you can opt for vertical storage, if you have a lot of things. 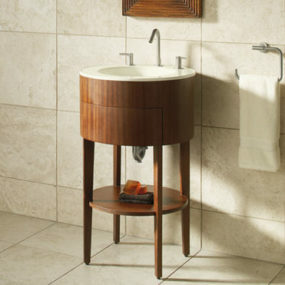 Or if you can fit everything into a spacious vanity, all you need to do is to find a place where it won’t get in the way. 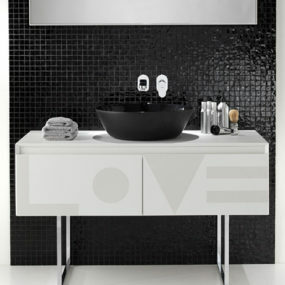 Vanity cabinets are the most popular of bathroom storage solutions. 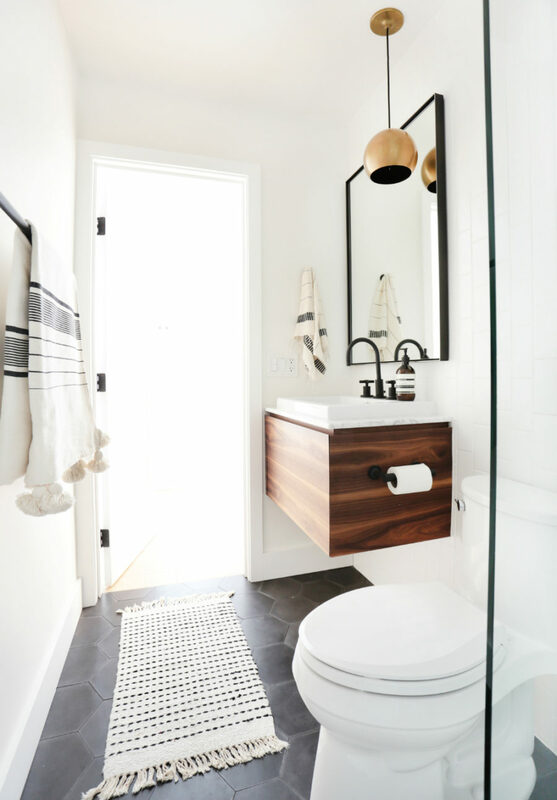 But you can always arrange piles of clean towels in a separate bin or even a planter, as seen in Megan Pflug’s remodel. Be careful with the shelves, as these tend to visually clutter space. Best to try and keep most things out of the bathroom, if it’s at all possible. 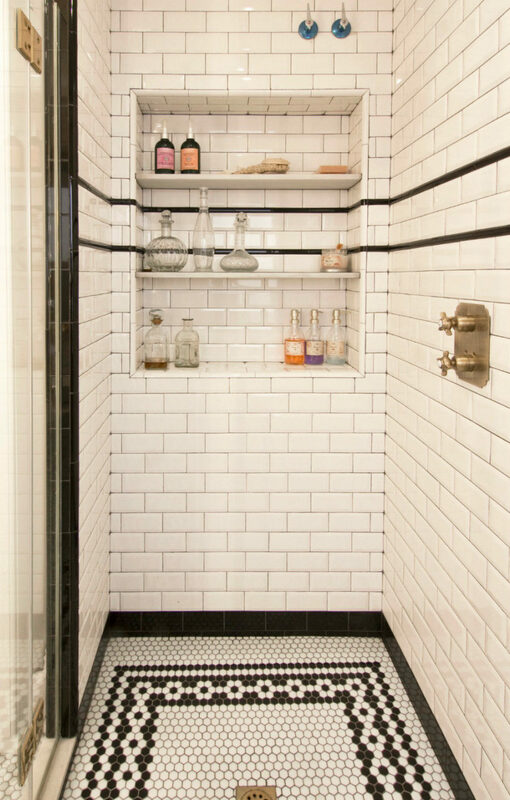 A small bathroom doesn’t have to be plain and boring. On the contrary, make it your challenge to create a unique design that will have your guests wondering about its authors. 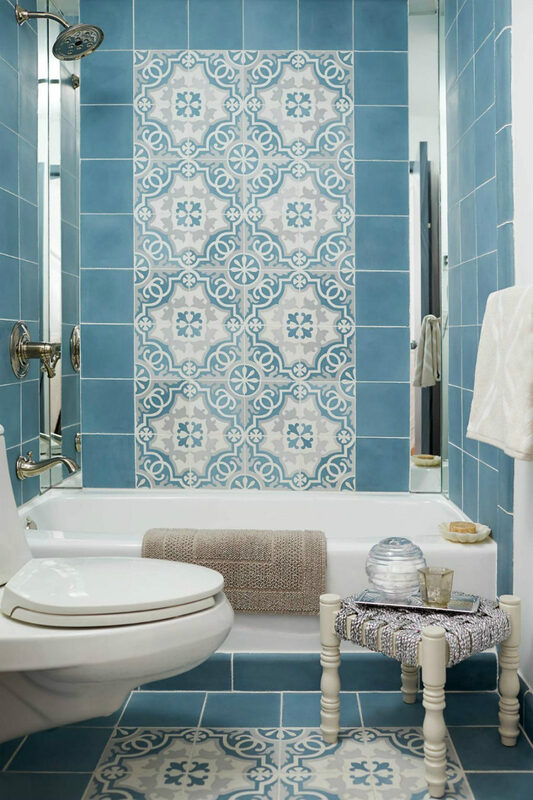 Creative tiles, wallpaper, and furnishings can help you make your bath, no matter how small, really stand out. If you are lucky, you may simply accentuate the existing interesting interior architecture. 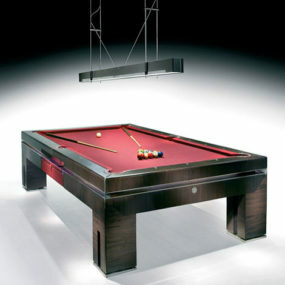 This is where attractive and eye-catchy hardware can come in handy. 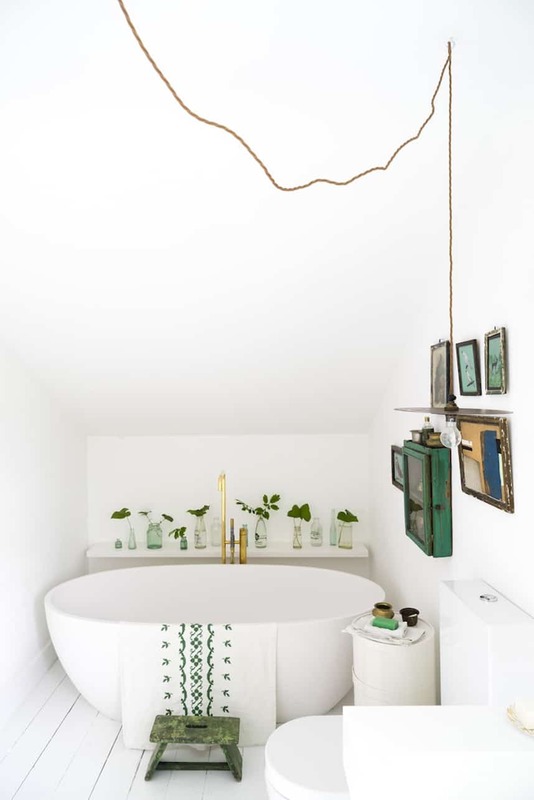 Also, if your bathroom has a window, you may even dare to hang an artwork inside to add more flair and character to it. 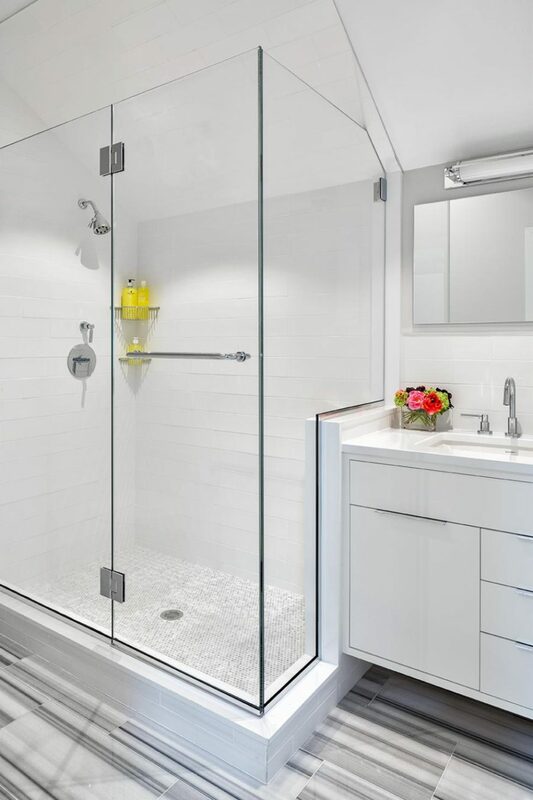 One of the shower stall’s virtues is that it may be planned exactly to the size allocated to it in your bathroom. It can be as small as you need it to be. That’s why it’s so popular with small bathrooms, where space is limited to start with. 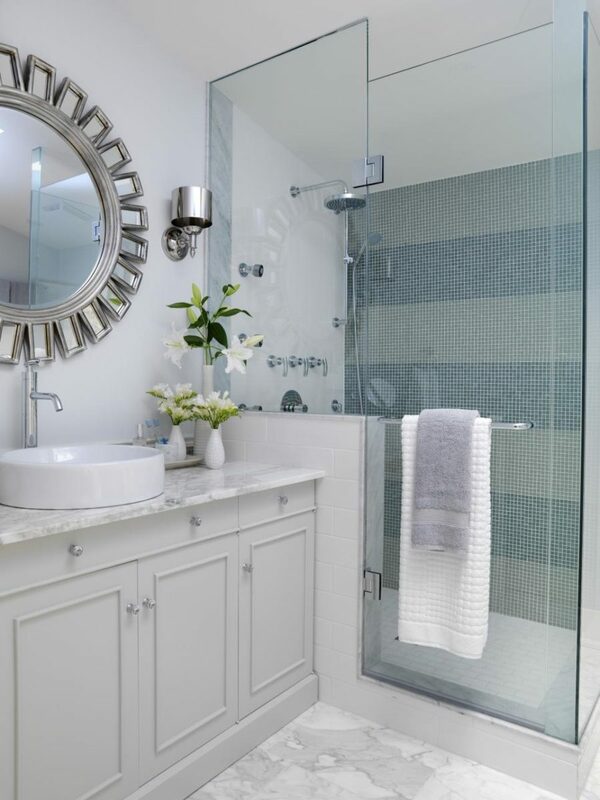 The best way to visually enhance a small bath is to install a glass stall with neutral or white tiles. 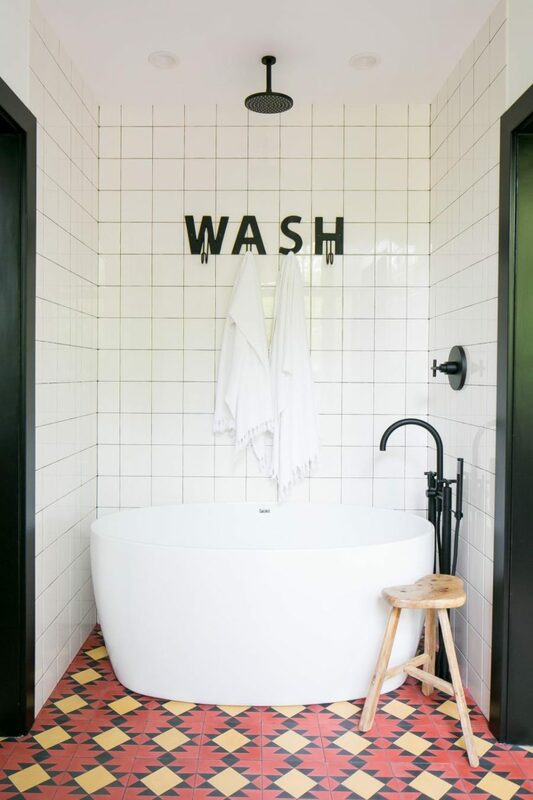 Even the subway tiles will do. But if your heart demands color, make sure to keep it down on the floor. 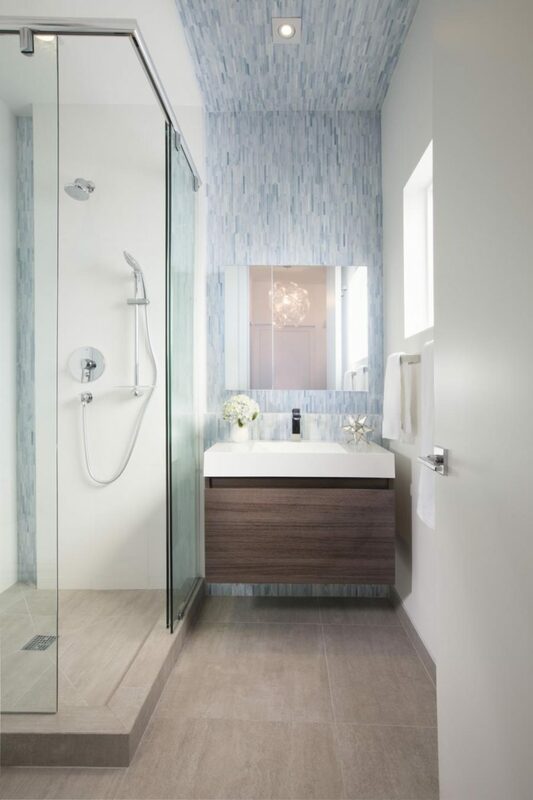 The transparency of glass will render the room bigger than it really is, without cutting it down with obstructions. 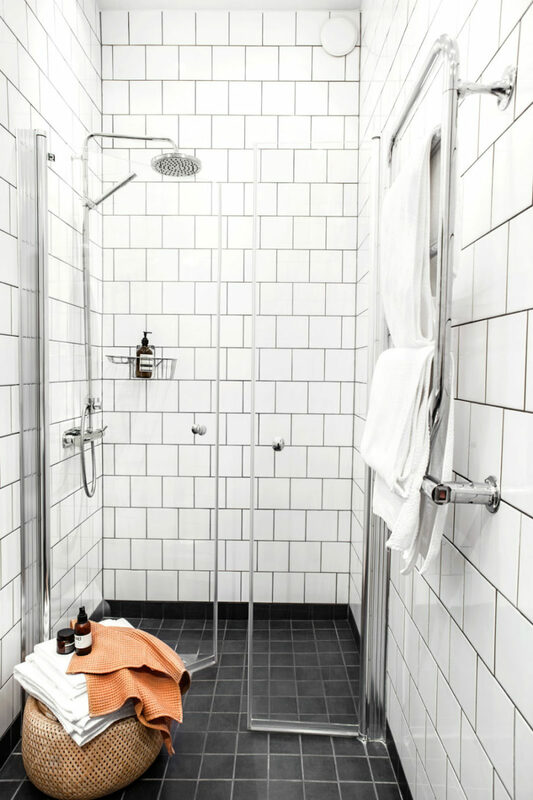 And even a colorful shower wall may work, if your bath is just big enough for it. 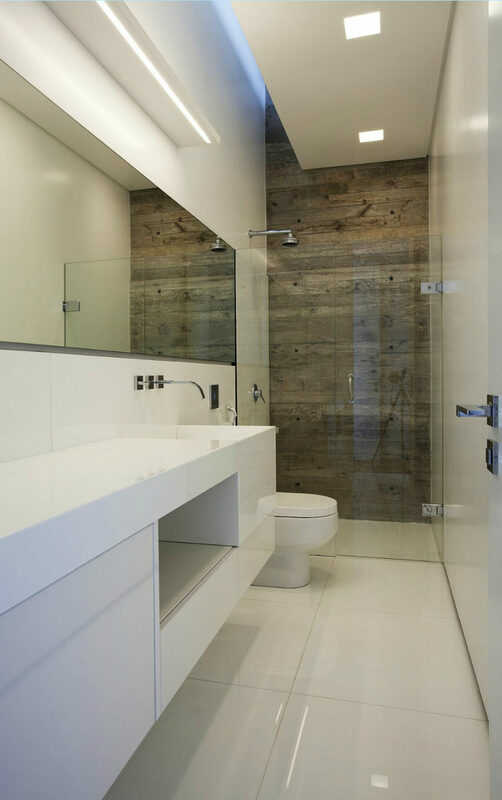 Wooden accents work anywhere, so why wouldn’t they work in a small bathroom? 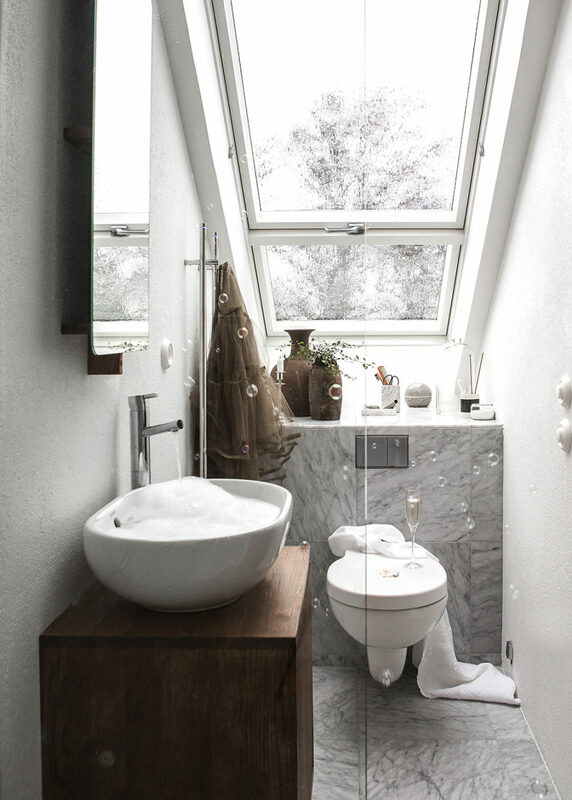 A touch of nature is always welcome, especially in such a cold functional space as the bath. 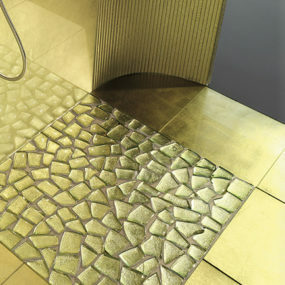 Add to it some contrasting texture like metal or glass, and the result will take you aback. 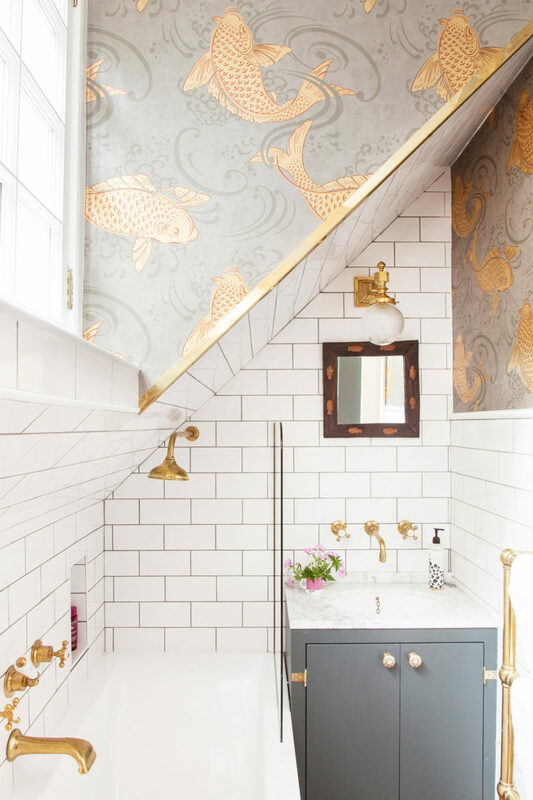 Small bathrooms can look as beautiful as the big ones. It is all a matter of clever planning and fitting style. 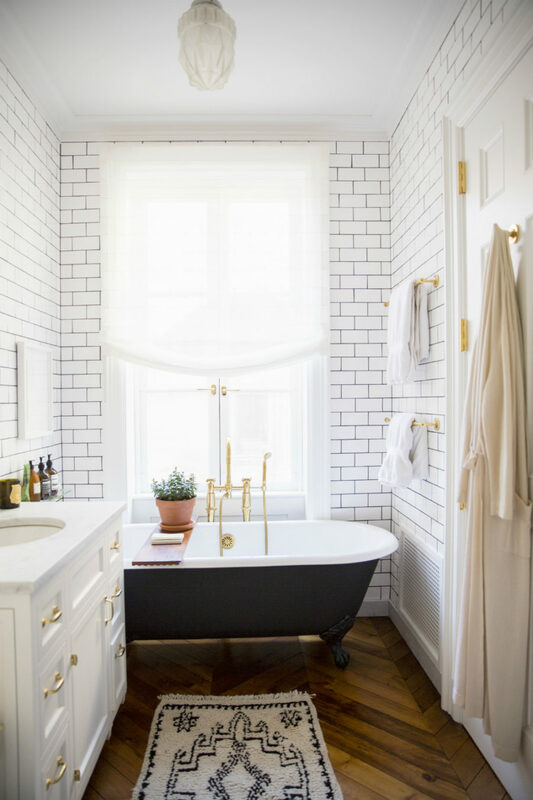 Take note of every advantage of your bathroom plan, and make sure you don’t work against them while designing your stylish small bath.